In the automotive world things tend to be somewhat predictable in the sense that you get to know beforehand what cars are meant to be practical, and which ones aim to get the best lap times, so it comes as a pleasant surprise when a car manufacturer tries to mix things up and come with a crazy concept that combines both. In other words, Nissan has recently revealed the Nissan Juke-R 2012, a crossover with the attributes of a sports car and the price tag of four luxury sedans put together. 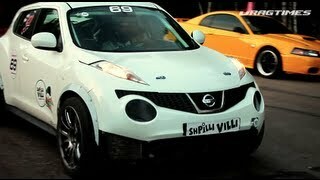 At first the Nissan Juke-R was just a publicity stunt and debuted during the Dubai 24 hour race as a safety car. To keep up the pace the Juke has been fitted with the engine found in Nissan's flagship sports car: the GT-R. 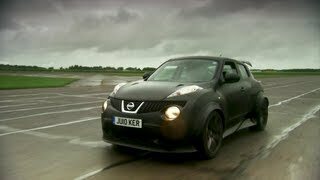 In a nutshell, the beefed up Juke was initially motivated by a 3.8 liter twin-turbo V6 which develops 485 horsepower and as a result it could go from 0 to 62 mph in 3.7 seconds, with a drag limited top speed of 160 mph. 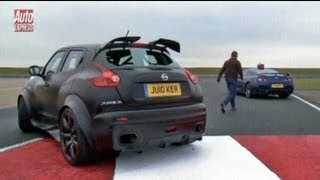 Furthermore, the Juke-R starred in a short promotional clip where it raced on the streets of Dubai and won against the Ferrari 458 Italia, the Lamborghini Gallardo and the Mercedes-Benz SLS AMG. In the end, the public reaction was so positive that Nissandecided to get the Juke-R into limited production, with a new, updated and more powerful 545 horsepower engine taken from the latest GT-R variant. Obviously, a crossover with the attributes of the highly acclaimed Nissan GT-R is no small feat, and the price-tag of the limited production Juke is staggering. The car manufacturer reported that only 20 to 25 units will be produced and each will be sold at the price of roughly $590,000. The price is out of this world without shadow of a doubt because for $590,000 you could buy two Ferraris 458 Italia, almost three Lamborghinis Gallardo LP560-4 2012, three Mercedes-Benz' SLS AM, 29 base model Jukes or 13 Senner Tuning Nissan Jukes. 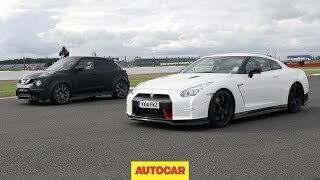 Nevertheless, if you'd rather choose one of the above mentioned alternatives, you'd still be slower on a track than the Nissan Juke-R so if you wouldn't want that to happen, what you should do is buy a Nissan GT-R and save about $500,000.